Enjoy the convenience of ski-in/ski-out access at this hotel, which also features a sauna. Additional features at this hotel include complimentary wireless Internet access, ski storage, and gift shops/newsstands. Guests can get around on the complimentary shuttle, which operates within 100.00 meters. At Hôtel Club MMV Les Neiges, enjoy a satisfying meal at the restaurant. Wrap up your day with a drink at the bar/lounge. A complimentary buffet breakfast is served daily from 7:30 AM to 9:30 AM. Make yourself at home in one of the 88 guestrooms featuring minibars and flat-screen televisions. Your bed comes with down comforters and premium bedding. Private bathrooms with separate bathtubs and showers feature designer toiletries and hair dryers. Conveniences include phones, as well as safes and coffee/tea makers. Spend the day on the slopes, or enjoy other recreational amenities, which include ski-in/ski-out access. Additional features at this aparthotel include complimentary wireless Internet access and ski storage. You'll be on the slopes in no time with the complimentary ski shuttle. 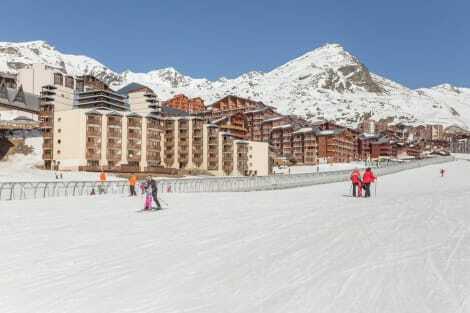 With a stay at Hôtel Le Val Thorens in Saint-Martin-de-Belleville, you'll be near ski lifts, within a 10-minute drive of Val Thorens Ski Resort and Val Thorens Sports Centre. 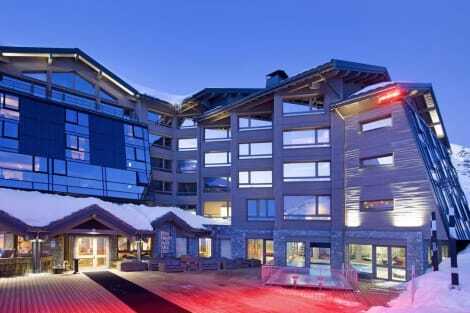 This 4-star hotel is 31.9 mi (51.4 km) from Courchevel 1650 and 28.6 mi (46 km) from Meribel Ski Resort. Make yourself at home in one of the 58 guestrooms featuring minibars and flat-screen televisions. Rooms have private balconies. Complimentary wireless Internet access keeps you connected, and satellite programming is available for your entertainment. Private bathrooms with bathtubs or showers feature designer toiletries and hair dryers. Satisfy your appetite with international cuisine at L'Atelier d'Eric, one of the hotel's 3 restaurants. Wrap up your day with a drink at the bar/lounge. Val Thorens is inundated with visitors every year for good reason. With an altitude of 2300m, it is officially Europe's highest ski resort with a piste area of over 600km covering three different valleys. These facts alone make Val Thorens a desirable destination for both thrill-seekers and families alike, while its charming French culture and lively après ski scene keep visitors entertained off the slopes too. Whether you're looking to stay in a cosy chalet or something a little more luxurious, Val Thorens hotels will give you plenty of accommodation options to choose from. 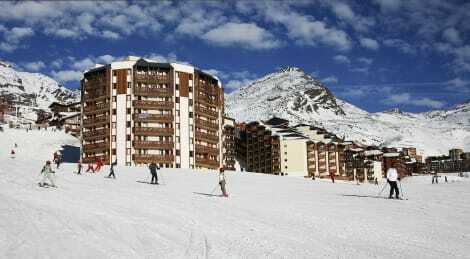 The Val Thorens ski resort is part of the 3 vallées ski area, making it a part of the world's largest linked ski area. In addition to this there are several other reasons why Val Thorens is France's most visited resort. There are 68 marked runs ranging in difficulty to cater for all levels of experience, for example, as well as 5 terrain parks with jumps and off-piste ski areas. Many of the slopes on Val Thorens' pistes face north and northwest as well, providing particularly good snow conditions for skiers. Remarkable for its high altitude and good snowfall, Val Thorens is also popular with skiers and snowboarders for its long winter season, usually running from November until April or May. Outside of ski season, active visitors can still take advantage of Val Thorens' stunning natural environment by bike, foot or even by paragliding. Val Thorens has plenty to offer after an exhausting days on the slopes. Traditional French cuisine can be found in many of the town's eateries, including dishes such as fondue and raclette, a shared dish of melted cheese often eaten with potatoes. Despite having a reputation for being on the pricy side, the restaurants in Val Thorens are also known for their quality. If you're not feeling adventurous, you can also find more familiar dishes such as pizza and steak. If you're not ready to end the night there, head to the Rue de Gevroulaz, the heart of Val Thorens' youthful nightlife. Of the many bars found there, you may wish to pay the O'Connell's Irish pub a visit, where the music is loud and the atmosphere lively. 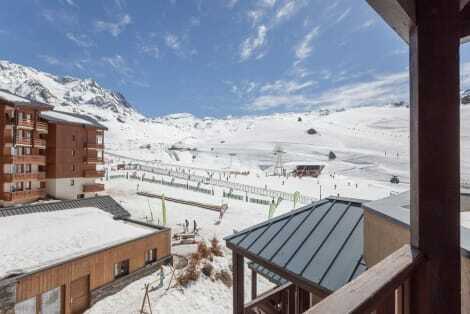 Later on in the evening, partygoers can seek out Summit or Malaysia, Val Thorens' two biggest nightclubs.